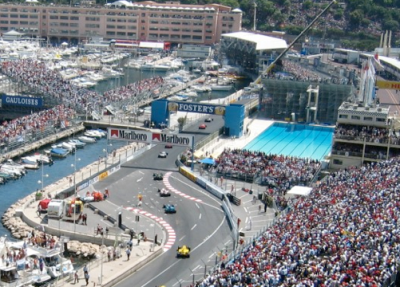 Our program will guide you through the adrenaline-charged atmosphere of the Grand Prix of Monaco Formula 1. Nyala Wonder Travel will take you to the fantastic circuit in the Principality of Monaco, situated on the French Riviera, a short distance from the Ligurian Riviera. Arrival in the afternoon to settle into hotel, dinner and overnight stay. In the morning we suggest a visit to Monaco Ville, the old town, where you can stroll among artisan studios and little shops and visit the beautiful cathedral dedicated to St. Nicholas, built in 1875 in white stone from La Turbie. At 12:00 you can attend the traditional changing of the guard in front of the Palazzo del Principe. At 2 PM you will be ready to attend the fast-paced qualifying session that will determine the starting grid of the Monaco Grand Prix: pole position will be assigned by the difference of a blink of an eye. At the end of the program return to the hotel, dinner and overnight stay. Transfer to Monte Carlo, where you will be catapulted into the electrifying atmosphere of this extraordinary urban circuit, to witness the most exciting race of all stages of the World Championship! At the end of the race return to point of origin. Accommodation in a 3 or 4 star hotel in double room with half board. Round trip transfer by 2nd class train to Monte Carlo from the city where the hotel is located. We do not in fact recommend going to Monaco with your own car. Anything not included in “our offer includes”. Lunches and dinners are to be selected according to the daily menu or the tasting menu offered by the chef. Drinks and a-la-carte snacks are to be paid for on the spot. Tickets for the Qualifying Session and for the Race are not included in the basic fee, but we can obtain tickets in the seating category that you wish.